We know where the Yellow-Brick Road took Dorothy. 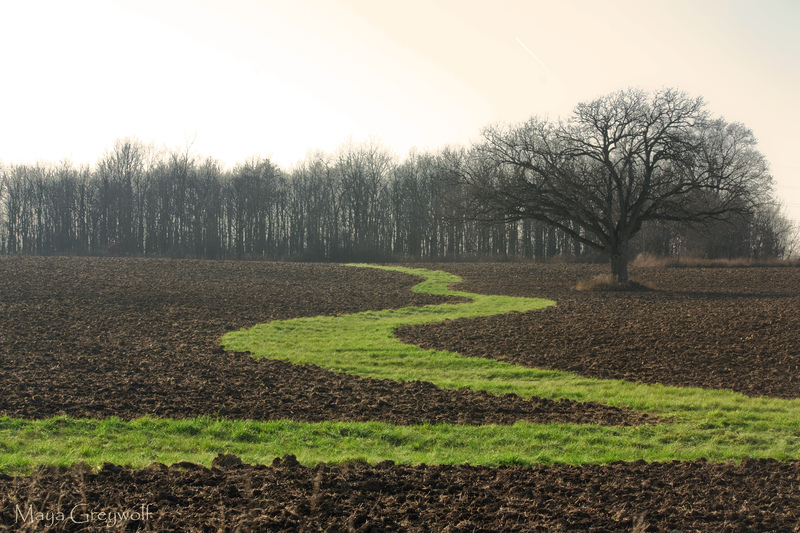 Where do you suppose the Green-Grass Road would take you? Feel free to add a story! Add a story? Add a question! That’s awesome! Is that a real grass road in that muddy field or is it Photoshopped? It was a green swath of grass in a recently plowed field. I’ve remained curious as to why they would do that. There are some slight modifications (contrast/saturation) but nothing that significantly altered the original capture. And just waiting there for you to come along and photograph it. What a find!